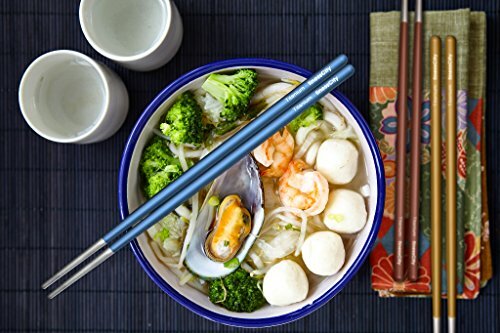 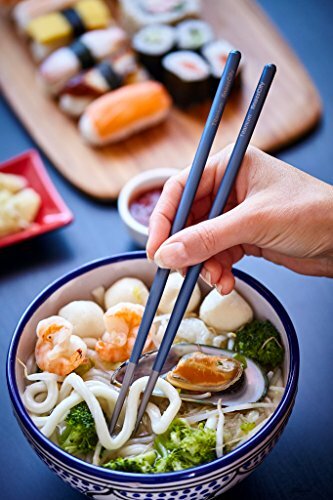 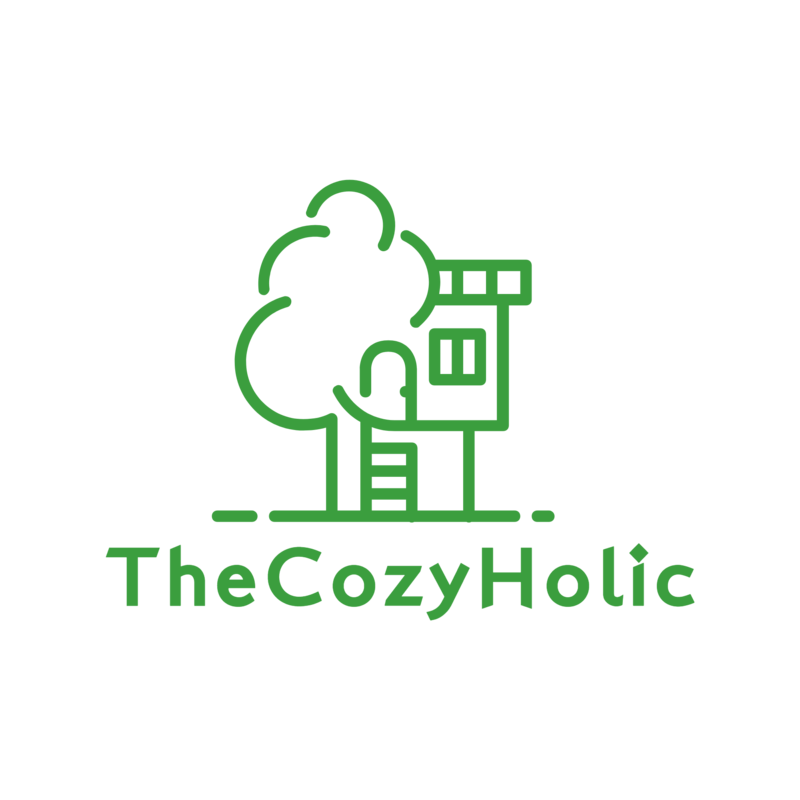 REUSABLE & DISHWASHER SAFE: These Color Chopsticks are Corrosion & High Temperature Resistant, they are dishwasher safe and reusable chopsticks. 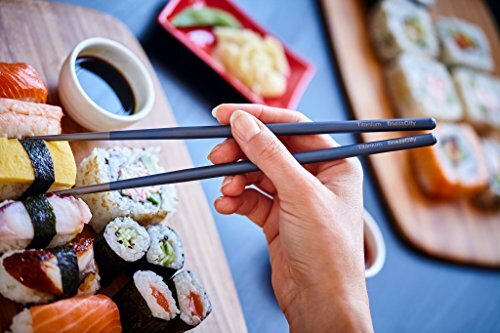 These Environment Friendly Chopsticks set are not toxic. 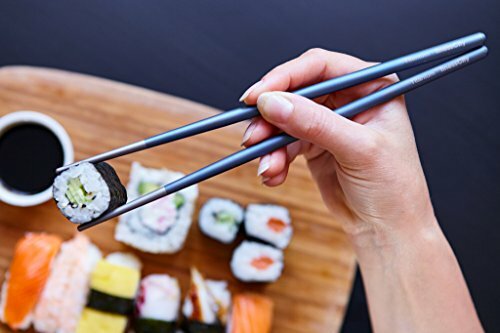 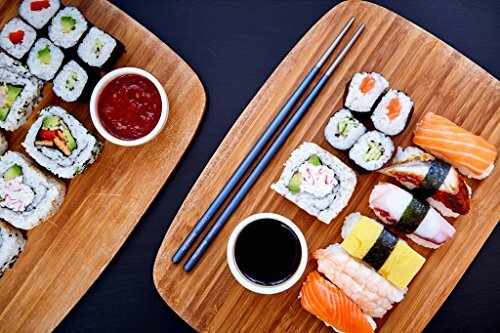 There are no after taste on the chopsticks and they are also non-allergenic, odorless & flavorless. 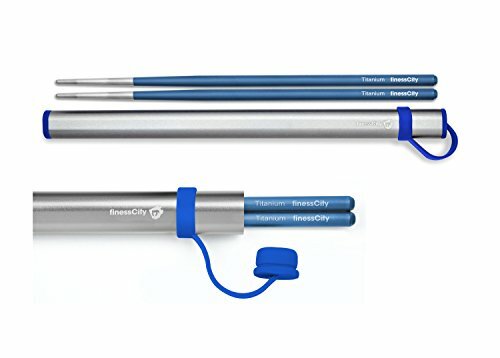 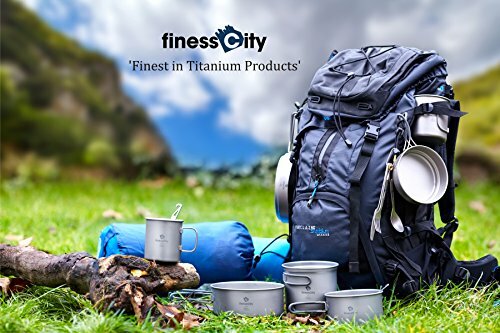 finessCity Chopsticks are much better than any metal chopsticks or stainless steel chopsticks. 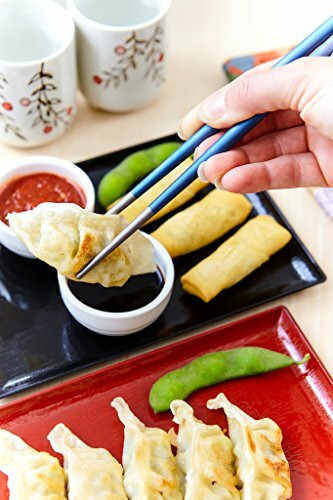 These are also 100% FDA Food Grade Chopsticks Titanium (Ti).